​The sign in the window advertises a Military Show and Gymkhana (an equestrian event consisting of speed pattern racing and timed games for riders on horses) with 68th Battery Canadian Field Artillery on Friday April 20th. That date confirms the year 1917. 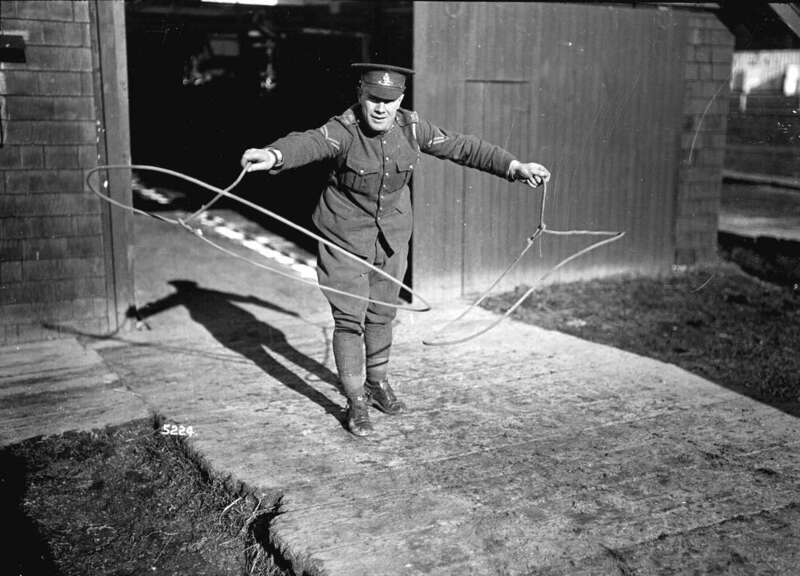 It appears that knots and skill with ropes would be very beneficial to an army that relied heavily on horsemanship. 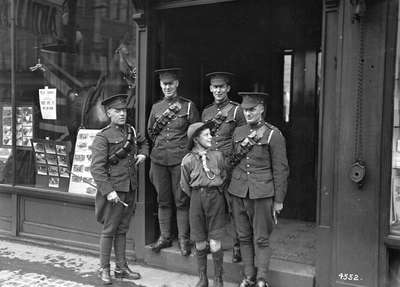 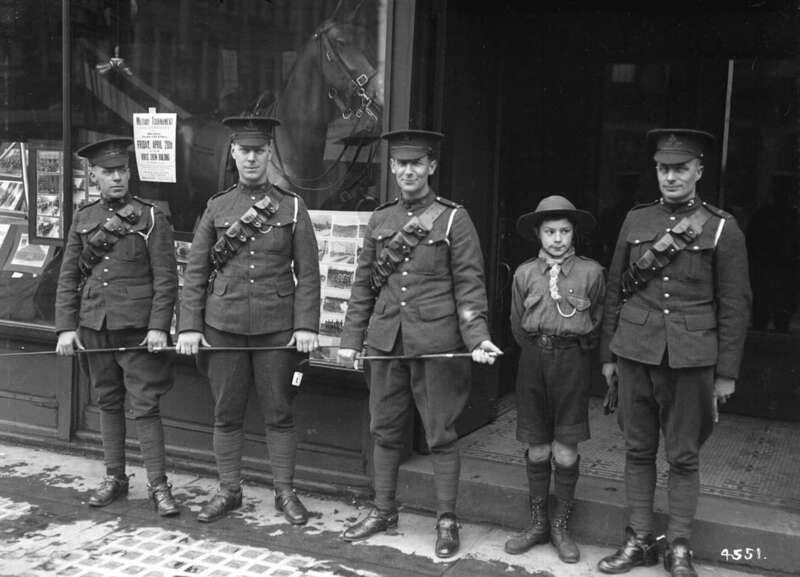 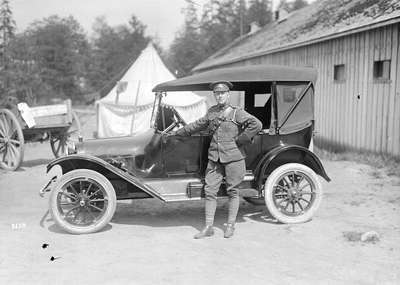 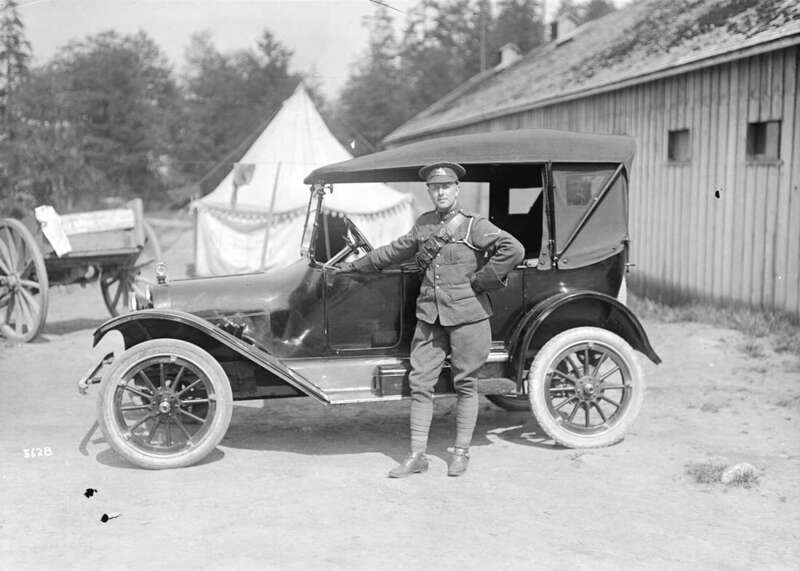 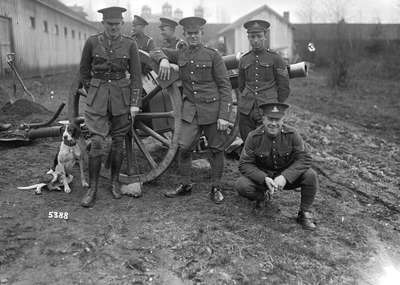 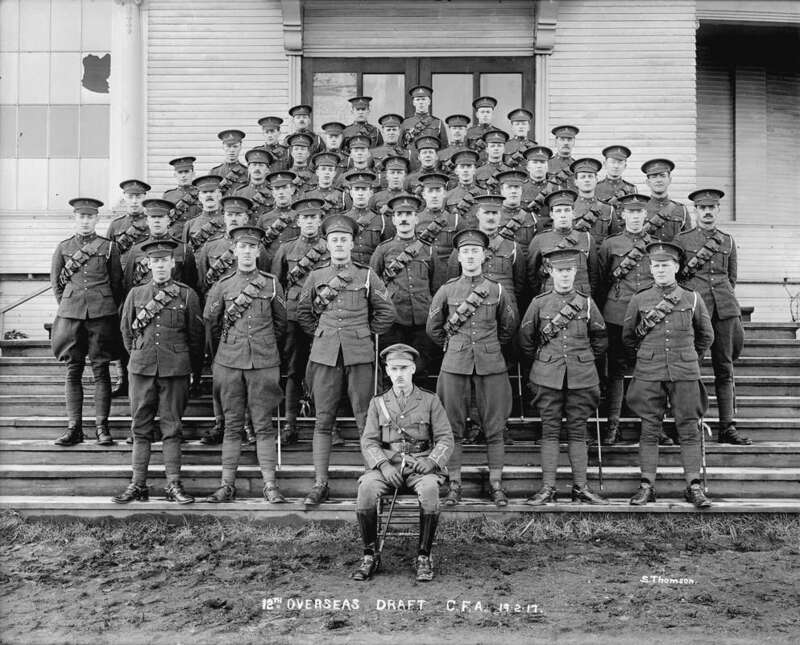 The soldier's name is unknown in these photos from the Vancouver Archives. 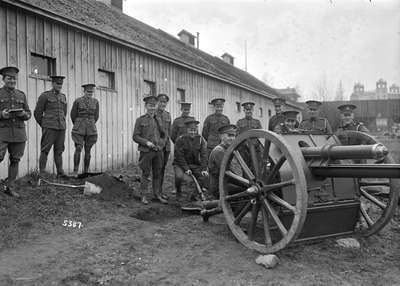 The 68th Overseas Dept Battery Canadian Field Artillery provided training for drafts going to the United Kingdom to reinforce existing units. 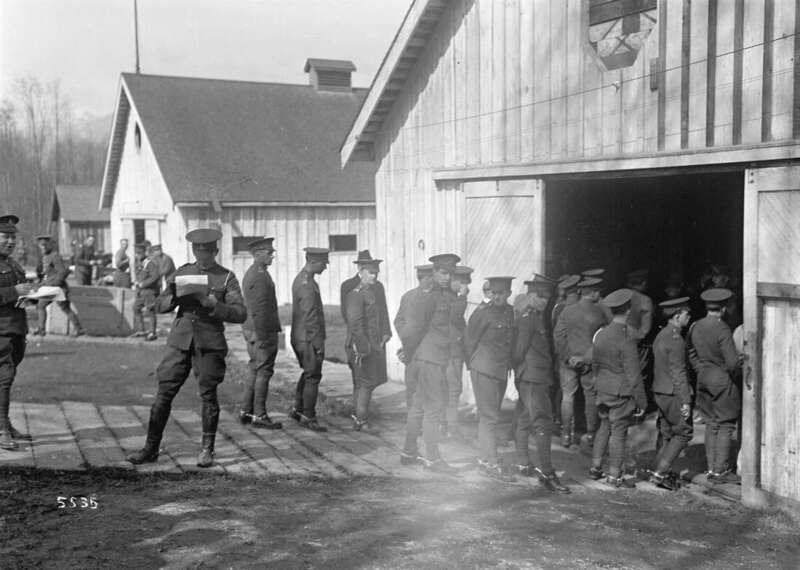 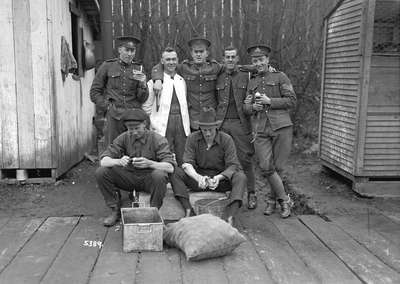 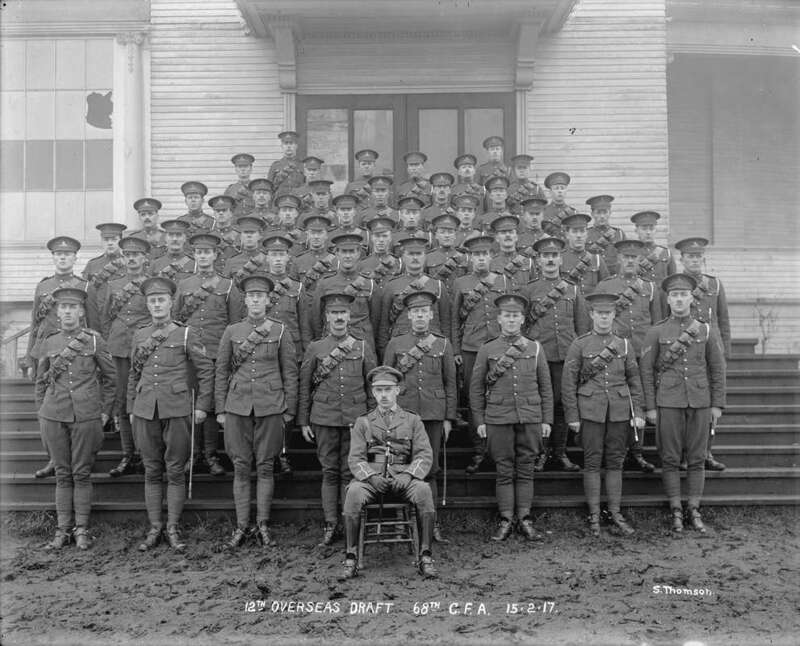 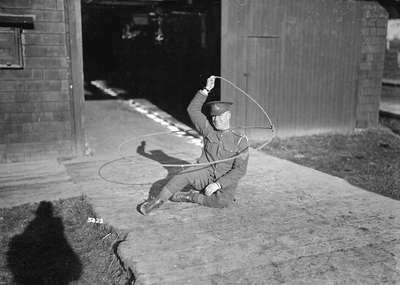 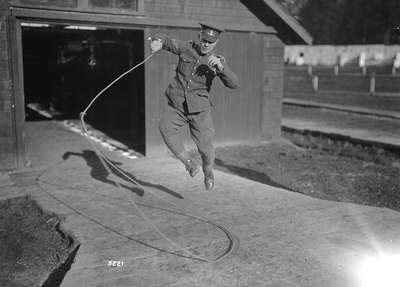 The following photos from Vancouver Archives illustrates some of the training and camp life during their stay at the Exhibition Grounds.